← Tongue or Dilly Bar? Until I returned to work from a 9 month hiatus 2 years ago (oh, sweet hiatus, I miss you so), I kept coffee to after-dinner/lunch time to go with special treats (cake, cookies, pie, ice cream, and on and on). Throughout all my years of working prior to that, mornings were for OJ and afternoons were for H2O. My last job put an end to that. Coffee was a morning and afternoon ritual for ‘our gang’ that I fought hard against but eventually crumbled. Was the ‘need to belong’ or the ‘need for a stimulant’ to keep me awake. Whatever, they got me — now it’s me and my monkey… and the mrs. (she’s always been a coffee fiend). 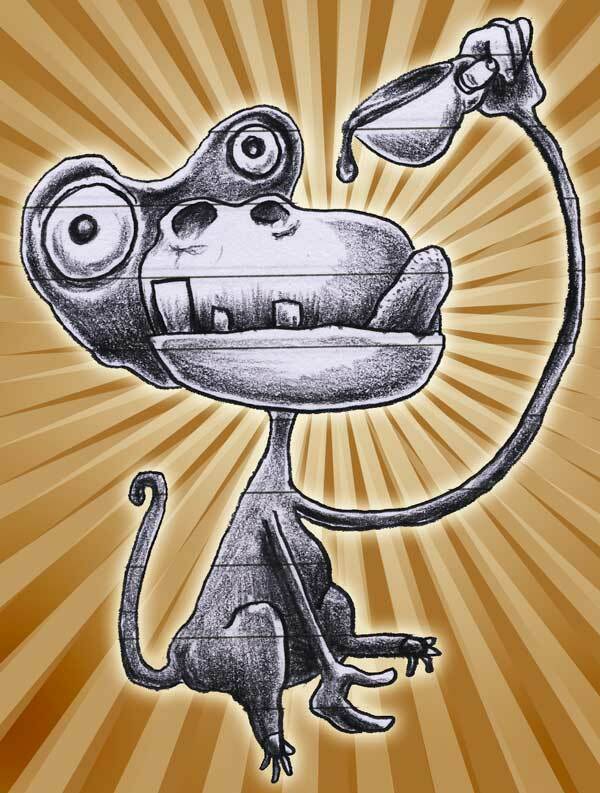 This entry was posted in coffee, creature, job, monkey, work. Bookmark the permalink.